Here we have an automated RFID based attendance system with SMS notification to parents. This system automates the attendance system by checking attendance using rfid cards as well as informs parents when student enters and leaves the academic premises. In this system we use RID tagging cards to demonstrate as user I cards. 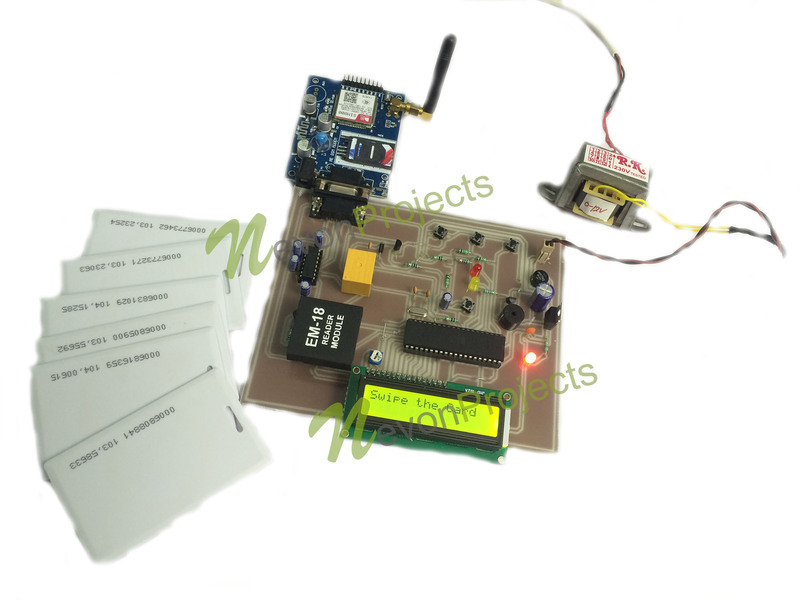 We use a microcontroller based circuit with RFID reader, LCD display, buzzer and GSM modem. The system is powered by a 12V power supply. When user scans a card on the rfid reader, the system recognizes the student and check is it is a valid student card. If the student is valid, system marks attendance and also sends an SMS notification to the parents of the students about student. Thus the parents are alerted when student enters or exits the premises. 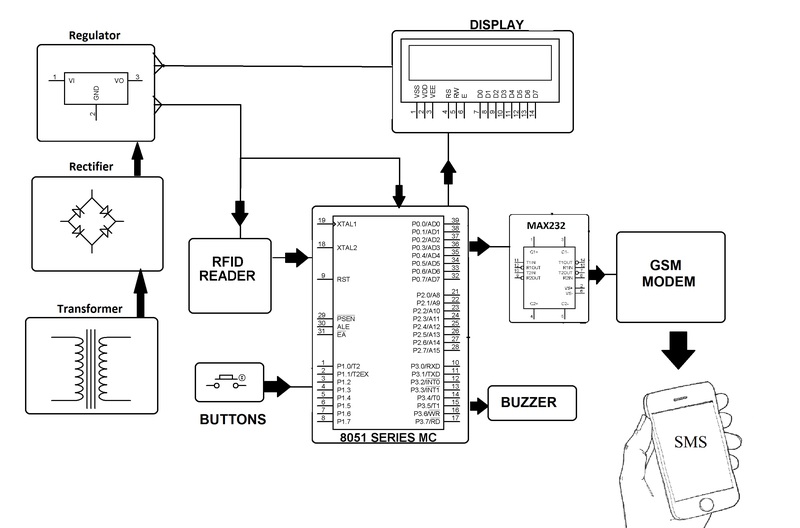 The rfid reader is interfaced to the microcontroller. The microcontroller constantly checks the reader for any id scanned. Whenever a card is scanned, the system provides the signal with card id to the microcontroller. The microcontroller on receiving the signal now displays the status of the event on LCD display. 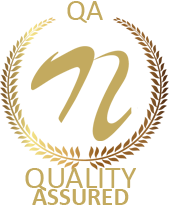 If the card is one of the cards already enrolled in system, it recognizes the card and checks the contact number entered for that particular card. It then sends an sms to that particular number to inform about the card scan. 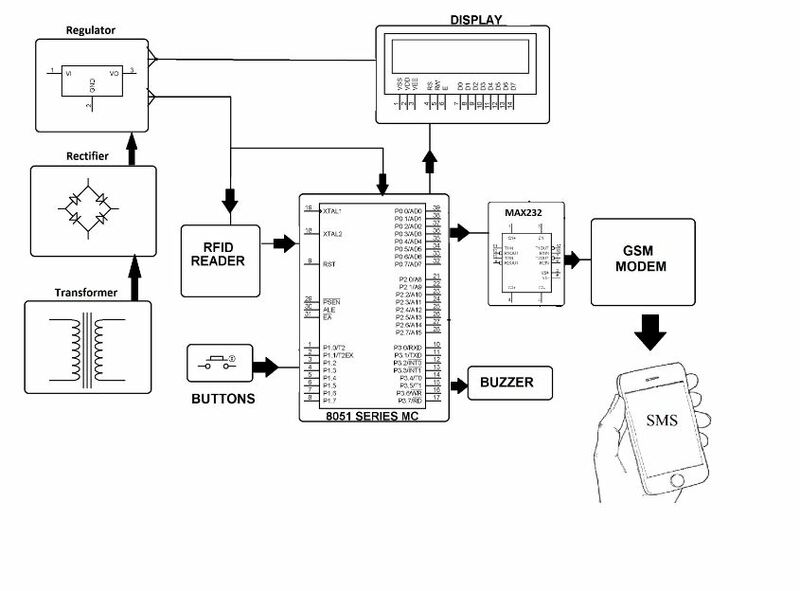 The microcontroller uses the GSM modem to send the sms message to particular number.